Muscle relaxants are a necessary part of anesthesia during certain major operations. However, studies have hinted at respiratory risks connected with these drugs. POPULAR, a major prospective observational European study has confirmed the association between the use of muscle relaxants and respiratory complications, and assessed the chances of the current avoidance strategies. 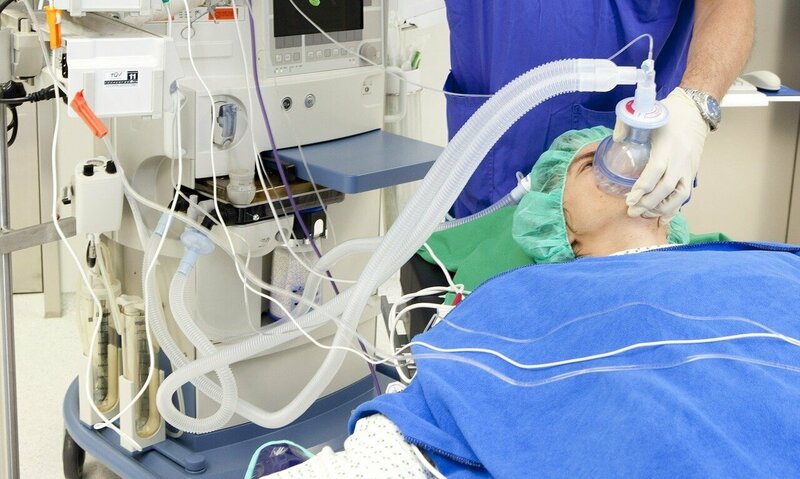 Anesthetics make patients unconscious during an operation and prevent them from feeling pain. Muscles, however, are not paralyzed by these drugs and may still move. “To prevent this, we also use muscle relaxants or, more precisely, neuromuscular blocking agents,” says Professor Manfred Blobner, an anesthesiologist at TUM’s Clinic for Anesthesiology and Intensive Care. “These drugs are particularly important when operating on a patient’s chest or abdomen. They are also used to protect the vocal cords from injury when a tube is placed in the airway to allow artificial ventilation,” says Blobner who is the chair of the POPULAR steering committee, a multinational group of researchers. The prospective observational POPULAR study collected data from 22,803 patients of 211 hospitals in 28 European countries. The first results from this study are now being published in The Lancet Respiratory Medicine. They confirm what earlier studies based on pre-existing data had hinted at: The use of neuromuscular blockers during general anesthesia is associated with a significantly increased risk of several respiratory complications after surgery. The most common complications involving the respiratory system were a reduced capacity of the lungs to absorb oxygen transiently (5.2 percent), and infections of the lung and respiratory tract (2.5 percent). Roughly three quarters of all patients (17150 people) were treated with neuromuscular blocking agents. They were shown to have a significantly higher risk (+4.4 percent) of developing any type of respiratory complication. The study did not look into how the use of muscle relaxants might cause the negative effects. Earlier studies have shown that even small amounts of muscle relaxants remaining in the bodies of patients could be responsible for some of the complications. The data from POPULAR, however, show that established techniques used to avoid residual neuromuscular block do not lower the patients’ risk of pulmonary complications. The respiratory outcome was not changed by drugs reversing the effects of the muscle relaxants, or monitoring the neuromuscular function during anesthesia to ensure complete recovery of muscle function. The researchers point out that this does not mean that these measures are unable to reduce residual paralysis, but they must be used correctly. There may be flaws in the way these measures are implemented as well as other unknown causes for the complications. Blobner and co-authors are planning to implement more targeted studies to identify the underlying mechanisms behind their findings. “Based on our results, we believe that patients undergoing minor surgical procedures that do not necessarily require neuromuscular blocking drugs might benefit from avoiding them. Using devices like laryngeal masks for anesthesia instead of tracheal tubes that go past the vocal cords could prove helpful as well,” says Blobner.